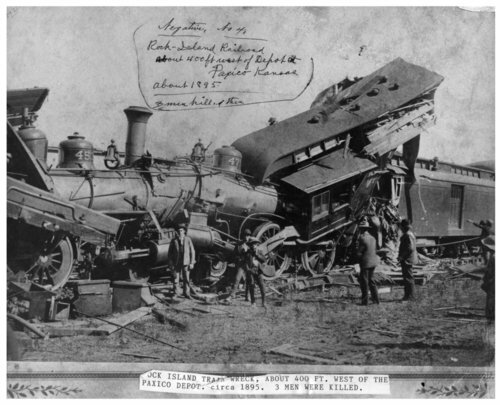 This photograph shows several men inspecting the wreckage of a Chicago, Rock Island and Pacific Railway engine and train. Written in ink on the photograph, "Negative No. 4. Rock Island Railroad about 400 ft west of Depot at Paxico Kansas about 1895. 3 men killed there."